Technical Writing Research: The Key to Success Writing Assistance, Inc. In order to write an effective technical writing document, technical writers need to do their research. Even if the subject matter is familiar to the writer, getting the facts straight ahead of time is essential to the success of the writer, as well as the success of the final document. Online – When a person is writing up a user manual, they might be able to find the necessary information online to complete their assignment. On-the-Job – Many technical writers are already experts in their field, so they can rely on personal experience to create their documents. Interviews – In some cases, a technical writer may have to set up an interview with another professional to get the necessary details for the end result. 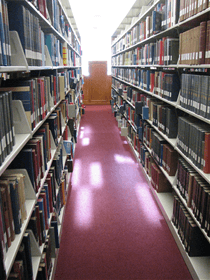 Libraries and Other Research Facilities – And there’s always the library for additional assignment-related information. Simply going to a source of information, extracting it, and then putting it into a final user manual is not enough. While this might work for everyday writing, technical writing is meant to be used actively, so its content needs to be accurate. Know the goal – Understanding the goal of the user document will guide the research process and allow the technical writer to find appropriate facts to use. Double check – It never hurts to check the facts and then to check them again to ensure they are accurate. Find multiple sources – Whenever possible, find multiple sources for the material and cite them in the technical writing document. Talk with experts in the field – Another way to verify information, talking with experts in the field can yield better information from their experience. Research is not just the collection of facts for a technical writing document, but rather it is a process in which information is uncovered and expressed in a meaningful way to the audience. What are some of the resources you use for technical writing research? Please leave a comment – we’d love to hear your ideas.